Relocation can prove to be quite stress-inducing. The items you have collected over the years can prove to be difficult to be packed for relocation purposes. 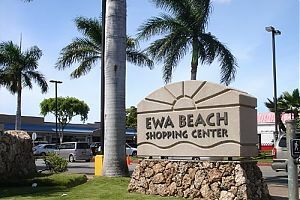 Only a reliable and reputed Ewa Beach moving company i.e. 🚚 Honolulu Moving Company can assist you in this situation. We handle all aspects related to moving i.e. packing, unpacking, loading, and unloading. Apart from these, we also have an advanced storage facility that is completely protected with the help of cutting-edge security measures. This ensures the valuable belongings of our clients in our storage facility are absolutely safe. Damages to valuable items is a normal thing when it comes to moving. However, with our services, there will be no such issue. We handle all the belongings of our clients in a safe manner. They are first packed in cushioned boxes. Therefore, the risk of damage during the transit is also minimized. All the services we offer are available at affordable rates. Therefore, relocation will not prove to be a budget consuming feat for you. Call 📲 808-206-9817 now for more information on our services.